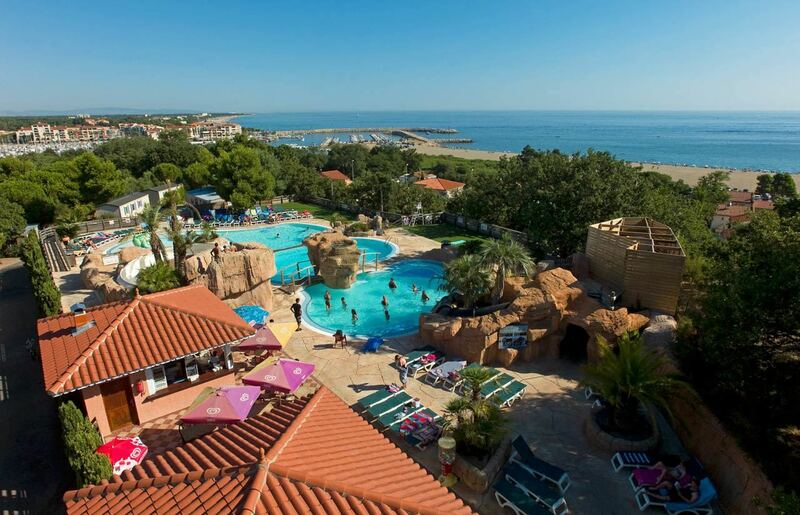 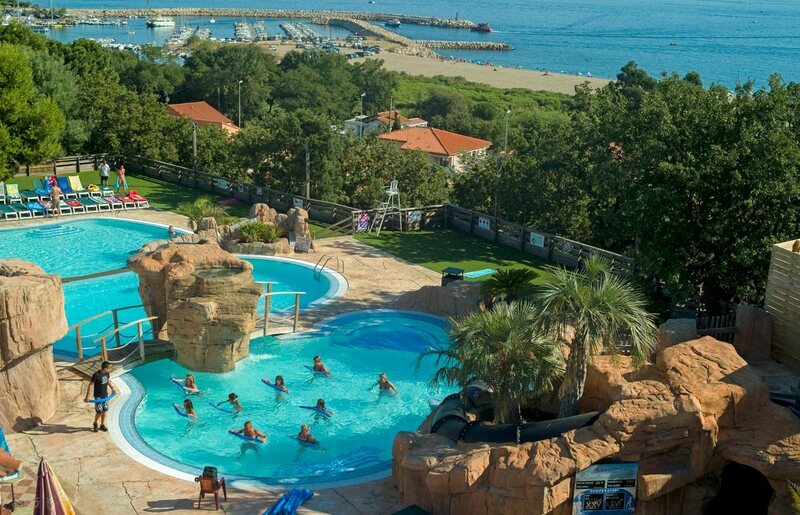 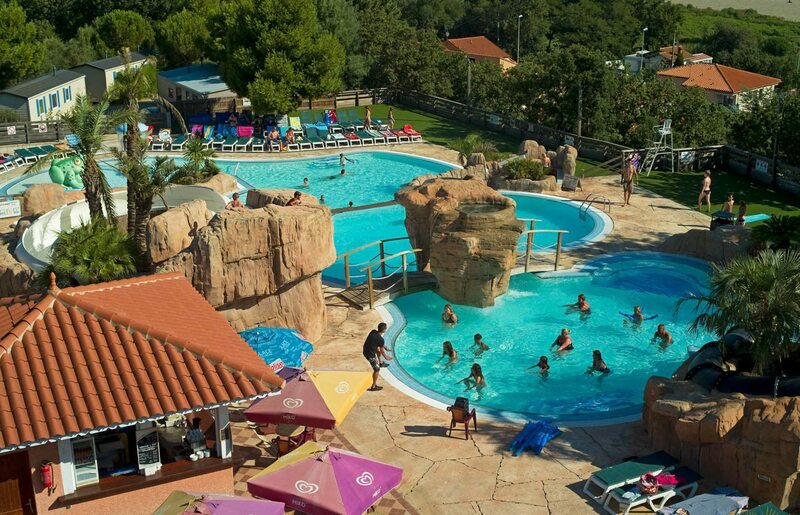 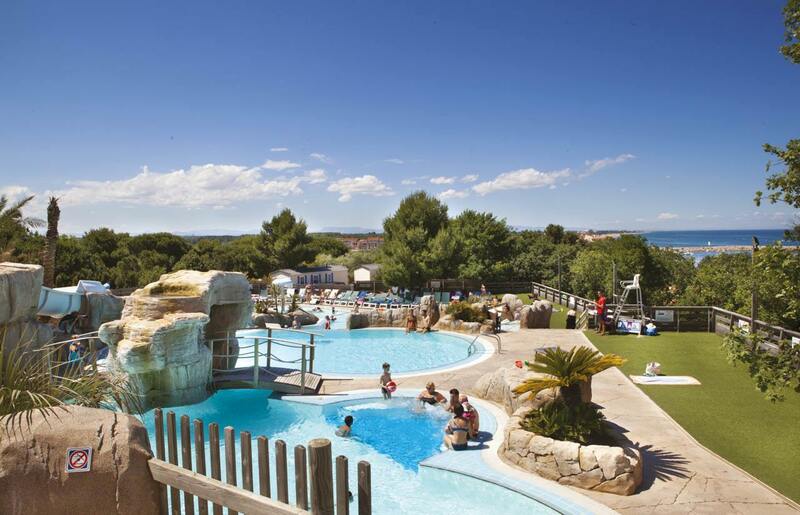 True temple of relaxation and idleness, the heated Water Park of campsite Le Bois de Valmarie offers sublime views on the bay of Argelès sur Mer. 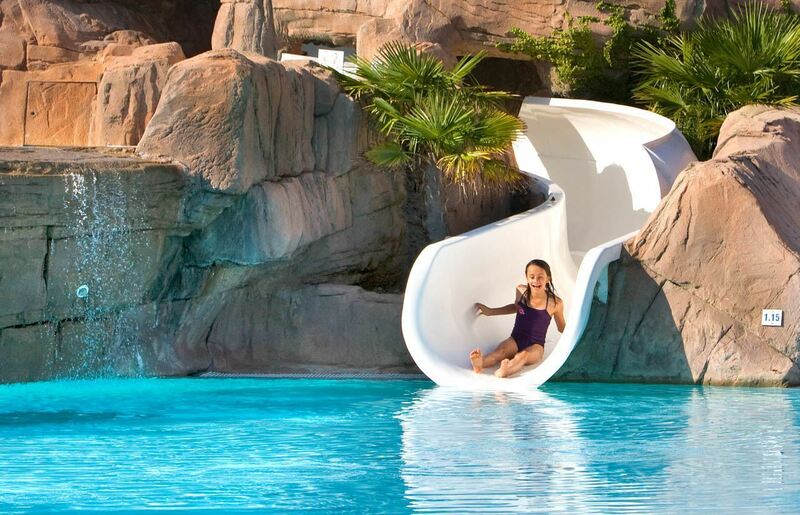 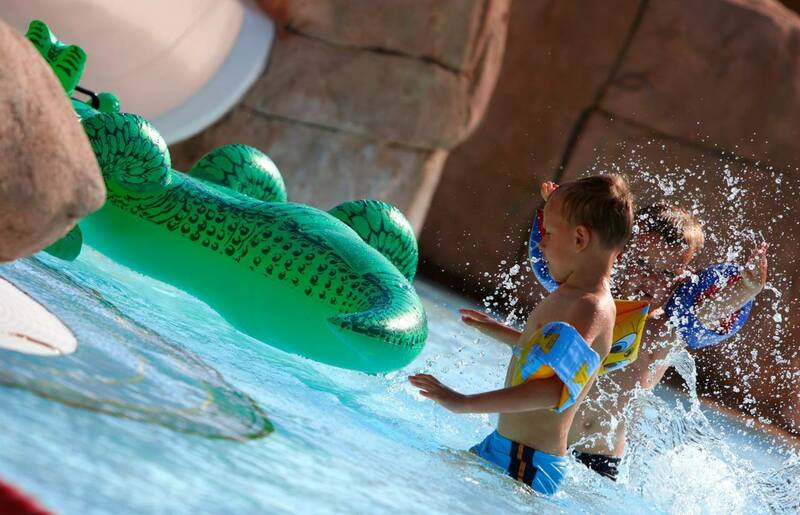 In a tropical ambiance, with rocks and beautiful lush vegetation, you'll find several heated pools, water slides, water games, and a paddling pool for the kids. 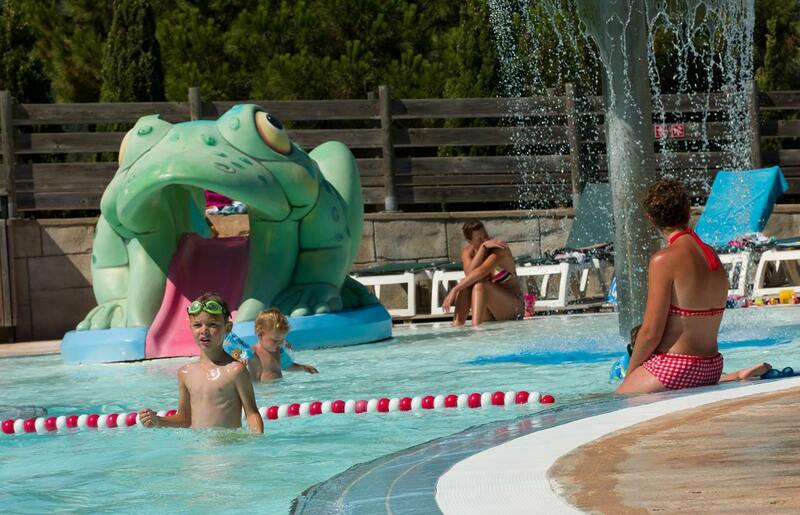 A paddling pool for toddlers of 53 m² with mini-toboggans, a heated swimming pool for kids of 126 m², fountains, etc. 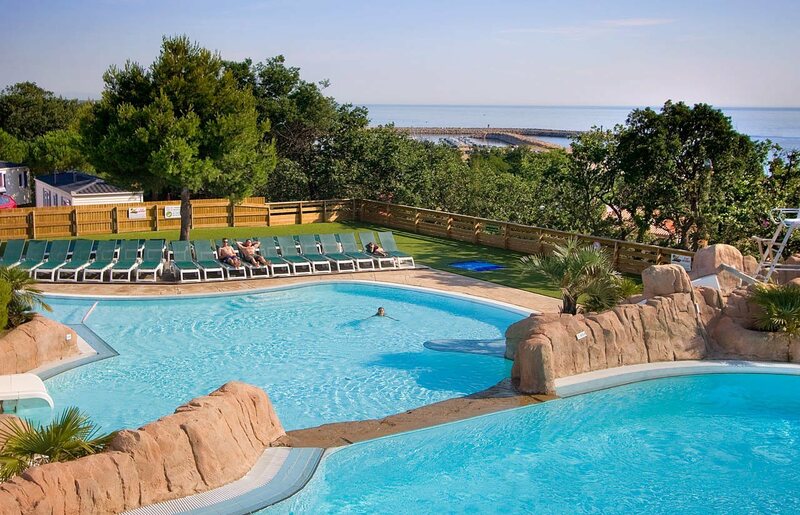 In a tropical atmosphere, two large pools of 100 and 80 m² offer a nice view over the Mediterranean Sea and the Mont Canigou. 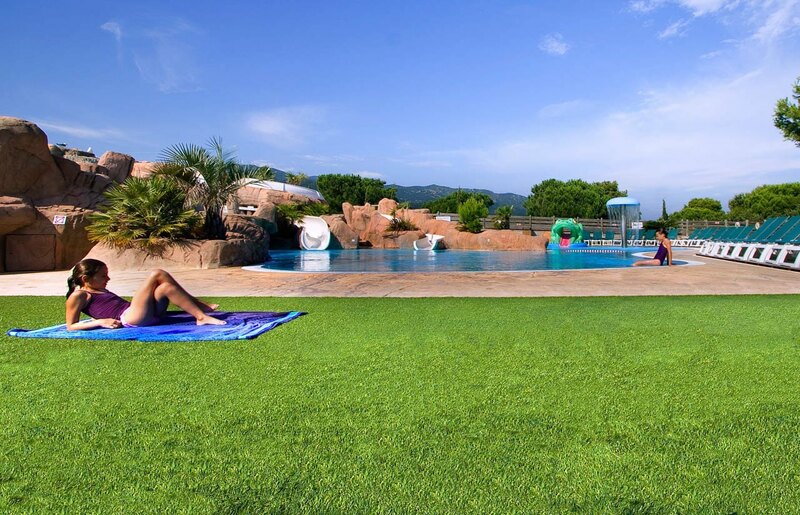 Get a tonic wake-up with aquagym sessions!